This class is currently accepting registrations. Please click “Register Now”. Overflow parking is available in the parking structure. There is no street parking. This class is open for registration and has available seating. The easiest way to register a group of individuals is using our online system. To choose group registration, click the registration link at the top of this page. Login to our system or create an account. Then, on the registration page, click the second blue button indicating group registration for your agency. On the following screen, click the green button that says “Register an Attendee” and search for attendees you wish to register. Follow the prompts to complete the registration process. All cancellations and substitutions MUST be in writing and directed to the CPOA Training Assistant @ lserpico@cpoa.org. All refunds will be processed within 30 days from the written date of the cancellation request. Cancellations made 30 calendar days or more from the first day of your registered course will be refunded minus a $30 cancellation fee. Cancellations made 29 calendar days to 10 calendar days from the first day of your registered course will receive a 50% refund. Cancellations made 9 calendar days or less from the first day of your registered course are NOT eligible to receive a refund. *Registrants who cannot attend a course are strongly encouraged to find a substitution. CPOA encourages you to make a substitution if a student cannot attend the course; substitutions will be accepted prior to the course in writing and on-site. This class is open to all sworn, non-sworn and legal professionals in law enforcement. This class is required for the POST Record Supervisor Certificate. Keith Collins joined Jones & Mayer in November of 2012, focusing primarily on issues facing municipalities and law enforcement agencies. Prior to this he served as a law clerk at Jones & Mayer during the summers of 2011 and 2012. Before joining the firm, Mr. Collins worked as a certified law clerk at the Los Angeles County District Attorney’s Office. Mr. Collins also worked as a Law Clerk at the Whittier Special Education Local Plan Area Office. He has experience in the area of land use, redevelopment, public nuisance, elections, First Amendment, prevailing wages, labor and employment, cannabis, the Brown Act, Public Records Act, criminal prosecution, special education law, litigation, and law enforcement. 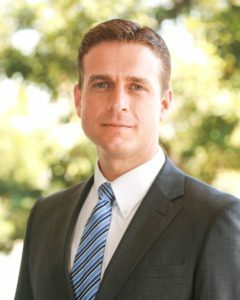 Mr. Collins’ current duties include providing legal updates to law enforcement personnel, conducting legal research, document review and preparation, pretrial document preparation, analysis of proposed ordinances, resolutions & contracts, and providing support to each of Jones & Mayer’s departments. Mr. Collins received his Juris Doctorate at Whittier Law School where he graduated in the top 6% of his class. He served as an editor on Whittier Law Review, authored a published article on free speech in public schools, and competed as a member of the moot court honors board. Mr. Collins has a single subject teaching credential and teaches legal classes to employees of law enforcement agencies throughout California.